The Hornets have won every match of the 2018 season so far, with a hat-trick of victories. Javi Gracia is the first Watford manager to have led the team to victory in three consecutive Premier League games, marking Watford FC history. The First Team's 2-1 win against Crystal Palace on Sunday marked the third victory since wins against Brighton and Burnley. 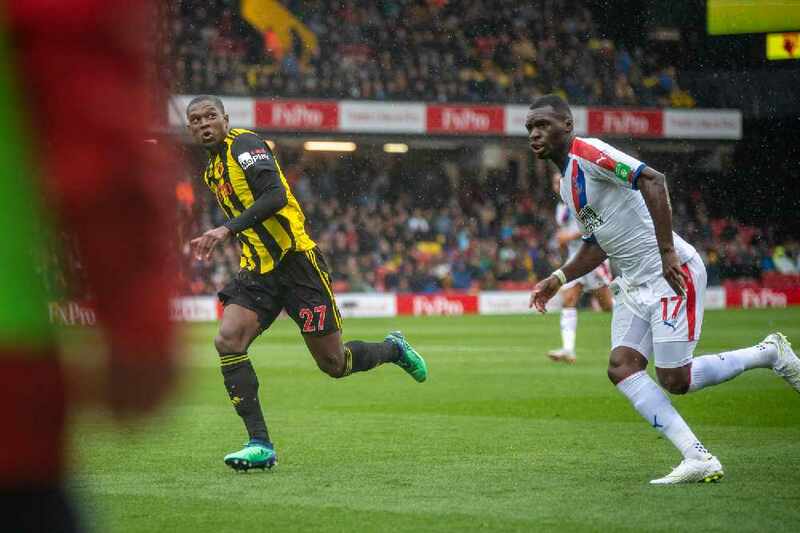 The bank holiday rain and wind at Vicarage Road did not hinder the players as they stepped up their game in the second half, with goals from Roberto Pereyra and José Holebas. Goalkeeper Ben Foster made two crucial saves in the first half, which denied goals from Christian Benteke and James McArthur. The win put Watford in second place on the Premier League table, but their position was swiftly overtaken on Monday with victories from Chelsea and Tottenham. “It’s incredible as it was our most difficult game from the start", Hornets defender and Man of the Match Christian Kabasele told watfordfc.com, "that means we did a really good job." The team have tough matches coming up, against Tottenham Hotspur on Sunday 2nd September, and Manchester United the following Saturday. However, with both matches taking place at Vicarage Road, the Golden Boys will be playing to their advantage, and are hopeful for continued Premier League success. Also marking a first in Premier League history, Watford is joined by Liverpool, Chelsea and Tottenham as the four teams to have perfect records in the opening three fixtures of the season.